Effects: energizes, refreshes, regulates the sebaceous glands, vasoconstrictor, antiseptic, expectorant, relaxing, deodorizing, repellent. Benefits: The cypress essential oil helps with insomnia and grief, enhances the emotional stability, helps moving on after experienced emotional crises. It favors blood circulation and water-lipid balance, helps with varicose veins and cellulite. Strengthens the immune system; antiseptic and excellent natural deodorizer. 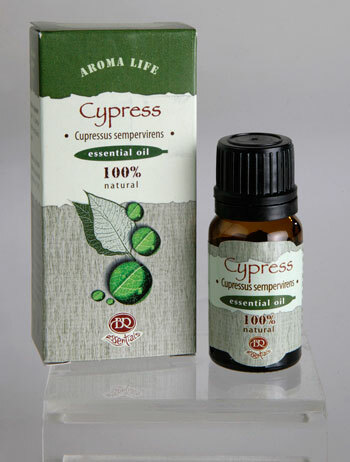 The cypress essential oil is suitable for oily skin and excessive sweating suppression. Blends well with other woody and citrus aromas, clary sage, lavender, cinnamon, geranium and neroli.